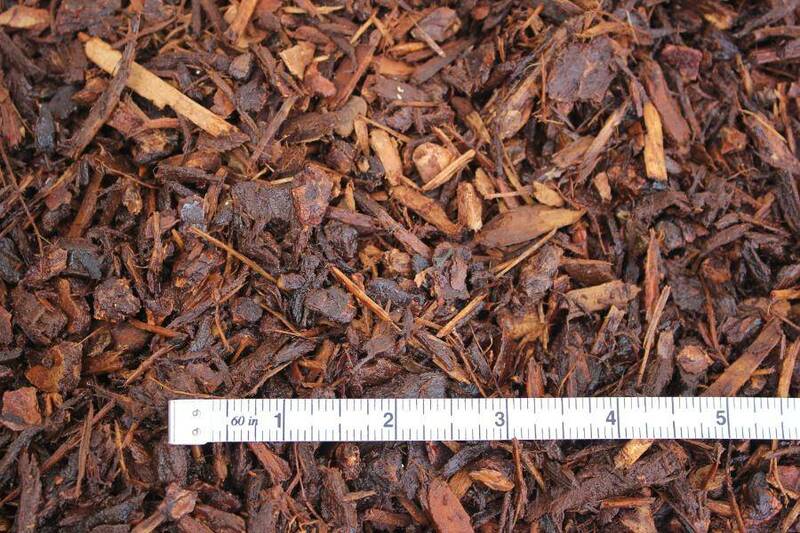 Mini nugget bark stands out from the crowd of mulch options thanks to its versatility. At Whittier Fertilizer, we recommend mini nugget bark for everything from tree boxes to flat beds to landscaping walkways. 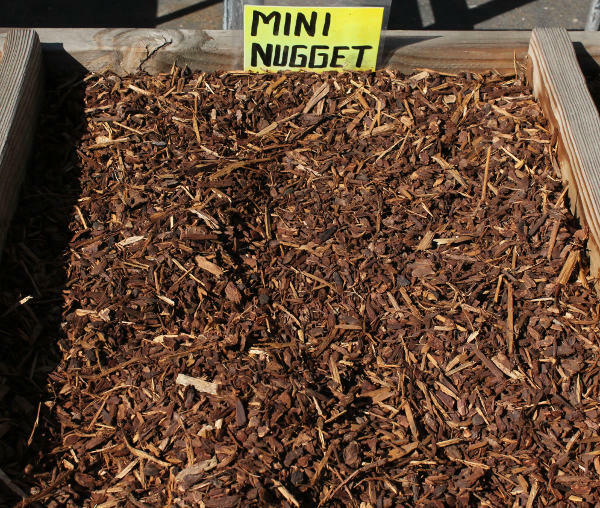 Although it is important to consider all of your options, mini nugget bark will work well for many of your mulching needs. Usually created from pine, mini nugget bark is not shredded. The small chunks of pine allow you to achieve a natural yet neat look in different areas of your yard. As mentioned above, mini nugget bark is effective in many different situations, including serving as a ground cover, hiding bare spots, covering shady areas, and around decks and walkways. However, mini nugget bark works particularly well in certain settings, such as flat beds. 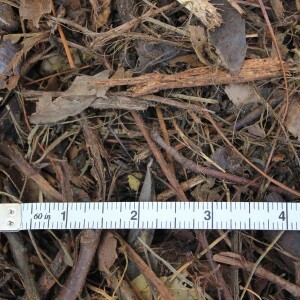 One of the dangers of nugget bark is that it is more prone to getting washed away by the rain than shredded varieties of mulch. In flat beds, you likely won’t have this problem. Whenever you use mini nugget bark, think carefully about whether or not water may pool in that area. 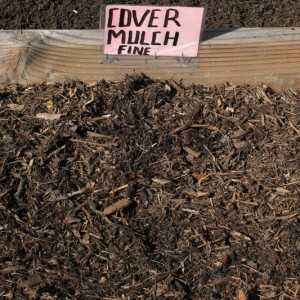 If it does, you might want to choose a different type of mulch. However, if your mini nugget mulch is disrupted by rain, you can usually rake it back into place. 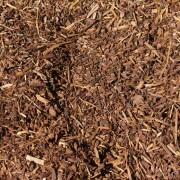 Although the issue with water is a slight disadvantage, mini nugget bark still has many advantages over shredded bark. 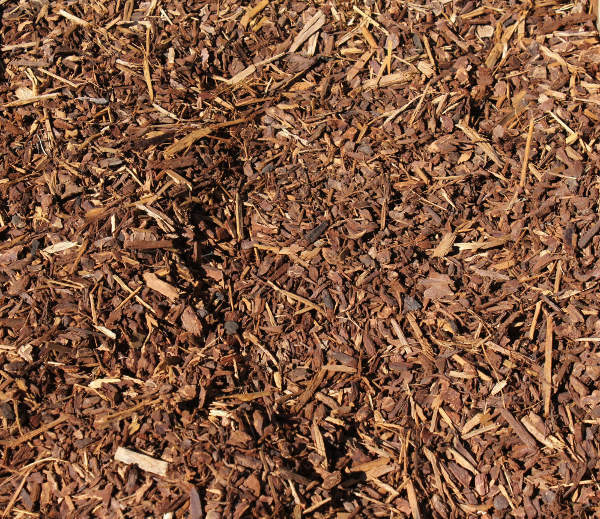 For instance, nugget bark breaks down much more slowly than shredded mulch, which means that it can be replenished less frequently. When it does decompose, the natural pine of nuggets adds incredibly rich nutrients to the soil. Since mini nugget bark lasts a long time, you can wait 9 months before replenishing it. Many gardeners choose mini nugget bark in order to gain the benefits of its slight acidity. Certain plants love acid in the soil, so selecting nugget bark allows you to inject a constant stream of acidity as the mulch breaks down over 9 months. Consider using mini nugget bark for azaleas, rhododendrons, gardenias, and camellias. If you’d like to try mini nugget bark as a part of your landscaping, contact Whittier Fertilizer today! 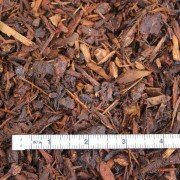 We have years of experience in the field of mulch, so we can provide insight into the pros and cons of various mulching options. 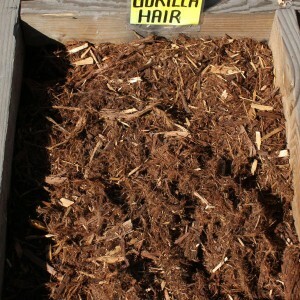 We look forward to helping you find your ideal mulch! i need approximately 10 cubic yards of mini nuggets delivered to Pasadena (zip 91106). what is the price per c.y. and the delivery charge? thanks. 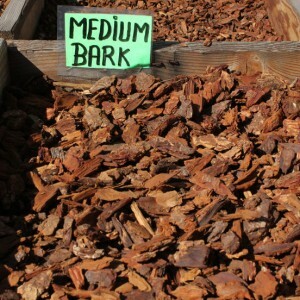 Peter, cost of bark is $61.00 per cubic yard and a $90.00 delivery charge to Pasadena.